The Apollo CI MC is a fine example of how you can cram a lot into a receiver for a very reasonable price. As the name suggests, it comes with both a CI slot and a built-in programmable Multicrypt CAM, and free-to-air versions are also available. It can be configured to work as part of fixed and DiSEqC/USALS motorised systems and proves a very quick sat scanner - 3mins to update 62 transponders on Astra 1x. There's also generous memory capacity for 6,000 channels and 64 satellites. You can create up to 12 favourites lists and there's a full seven-day EPG. 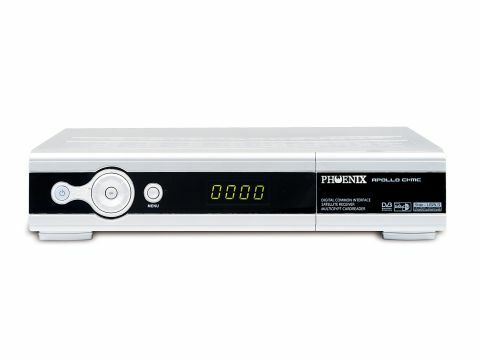 Good connections include an RGB Scart, S-video output and digital audio output. Picture quality is colourful and detailed from the receiver's great Sharp tuner, and audio from both analogue and digital sources is also excellent.